How do odors (good or bad) impact the perception of a facility and it’s custodial crew? McGuire: Foul odors give the impression that the facility is dirty. Thus, a process that is designed to “eliminate” not “mask” odors is essential to provide an optimal environment. Masking a foul odor can be tricky. Facility managers need to be careful on which fragrance they choose. Not all occupants like the same fragrance and in some cases masking can make matters worse. Malik: A building occupant’s first impression of cleanliness is not necessary what they see, it can be what they smell. Fragrance has a powerful effect on human behavior. Our sense of smell can evoke strong emotional reaction and influence behavior. Facility odors, good or bad, can shape the perception of how a facility is run, and how much the facility management cares about its customers. Pleasant fragrances can make us feel at home, brighten our moods, deliver a sense of calm and wellbeing, or increase alertness. Foul odors, even when isolated, can leave a negative perception of the entire facility, from the custodial crew to general management. Customers or building occupants can associate foul odors with unsanitary and unsafe conditions. Similar to odors such as smoke or gas, foul odors typically trigger us to take an immediate corrective action, such as leave the establishment. Daluga: When it comes to cleanliness, perception really is reality and a foul odor immediately raises eyebrows. Likewise, when a facility smells strongly of fragrances and perfumes, there's a perception that something is being covered up — there are odors being masked by other odors. Ferris: Restrooms can certainly impact consumers’ perceptions of businesses, and as a result, also impact their bottom lines. According to a survey, three in four American consumers are disgusted by urine odors and urine stains in public restrooms. Of those surveyed, two-thirds would refuse to patronize business establishments such as restaurants or hotels with unclean restrooms and more than half would likely review a business more negatively (online or offline) based on whether the restroom was clean. Research from Harvard Business School found that Yelp reviews can have a five to nine percent effect on business revenues, meaning bad reviews can translate to lower profits. Additionally, the majority of parents surveyed (70%) say a school’s restroom reflects the quality of the school, its staff and its teachers. Restroom odors are common, but what other areas of the facility should custodial managers focus on odor control? McGuire: It is wise not to overlook kitchen areas, lunch rooms, break rooms, smoking areas, laundry, hallways and the always present dumpster. These are all areas that can cause problems. Malik: Common areas such as lobbies, break rooms, conference rooms, hallways, and locker rooms are examples of additional areas where odor control solutions such as air fresheners and air sanitizers can improve facility image, customer experience, and protect customers/employees from the spread of germs. Daluga: A good odor management strategy addresses every aspect of a facility: certainly the restrooms, but also lobbies and common areas, offices and meeting rooms. Anywhere there's people, food, etc., there's likely to be smells that someone will find unpleasant, and it's crucial to have a strategy in place that addresses odors before they become an issue. Are there any areas within a facility where fresheners should not be used? McGuire: Food service areas are the most obvious. 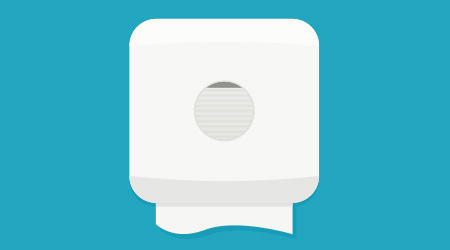 Users need to be aware of what surfaces will be contacted by a spraying air freshener. Daluga: Traditional air fresheners contain masking fragrances and harsh chemicals, the lot of which many people are sensitive to, and can manifest as respiratory irritations, headaches, and other physical discomforts. Facilities managers and custodial crews should choose odor solutions that eliminate odors naturally, as opposed to covering them up.